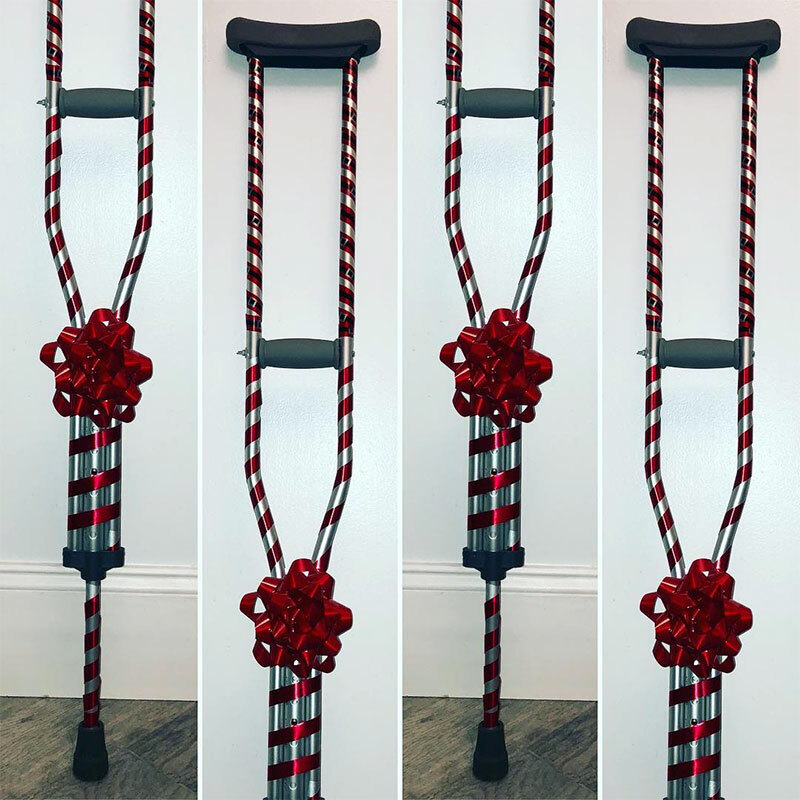 You have seen enough people walking on crutches that you might think it looks easy, or even a little bit fun. But when you have an injury and are in pain, you will quickly find that using crutches to get around is not nearly as easy as it looks. Walking on a flat surface alone is a challenge, much less stairs, hills, and other areas. Follow these tips, and you will be able to learn how to use your crutches as quickly as possible. The first thing you need to do is make sure the crutches you will be using are fitted to your specific size. 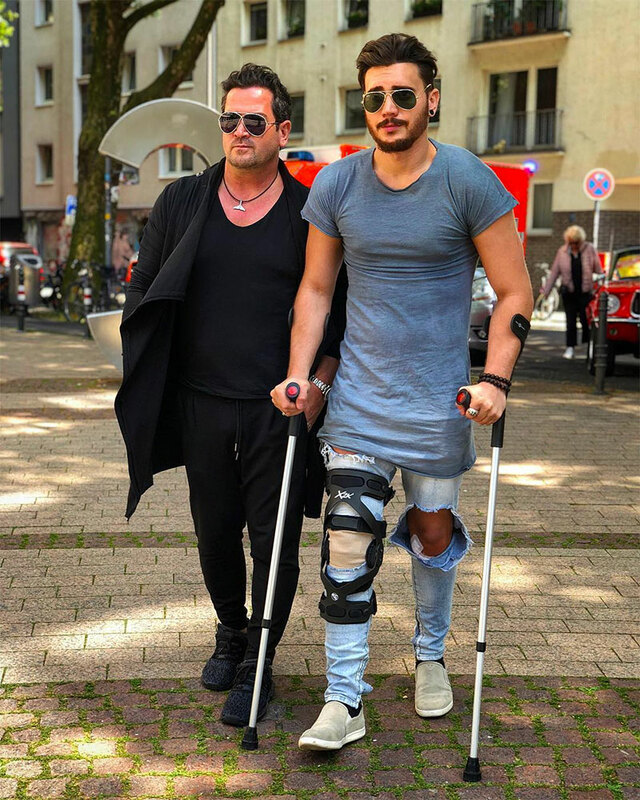 The top of the crutches in the pad area needs to sit right under your arm when you are standing up straight, and the hand grips should be at your hip level so you can slightly bend your elbows when you use them. You will not want to rest your entire weight on the crutches for long, instead, use your hands and arms to take the pressure off your legs. 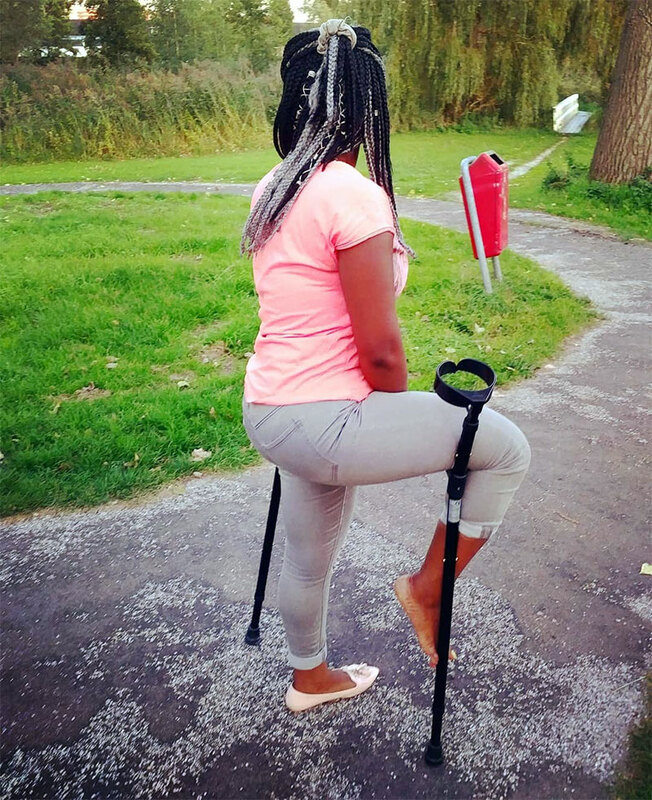 The way you position your body will have a huge influence on your level of balance as you get used to your crutches. Try to keep your body lined up with your head high, your shoulders back, and the rest of you in a straight line. Don’t look down when you use your crutches, but instead look ahead of you. Always be aware of the type of surface you are on and try out different surfaces when you have help available so you can get used to the differences. If you are to keep all of your weight off your leg, you will need upper body strength to support yourself on the crutches. If you do not have that strength, you will get tired very easily. The best way to grow that strength is to simply practice. Keep your crutches slightly out to each side as you prepare to take your first step. Wrap your thumbs around the handgrips and put your good foot firmly on the ground. Push the crutches one small step ahead of you and then swing your good leg forward. Take note of how the crutches feel and make adjustments as needed. Once you are worn out, you will want to sit down, but sitting is no longer easy now that you are using crutches. You will want to make sure you choose a stable chair that will not slide away from you. Chairs with arms are generally easier since you will have to get up eventually as well. As you approach the chair, line yourself up and put your crutches in one hand, using the other hand to grip the chair for support as you lower yourself down.